Home education session are bookable in blocks of around 6 weeks. Click on a day to see what sessions and blocks are available. We home educate our own children and they attend our Tuesdays at Grappenhall and Thursdays at Adlington. We run programmes based around the children's needs and wants on Tuesdays alongside our Nest in the Woods Grappenhall preschool for home educated children aged 5+. A great opportunity to make friends, learn some useful skills and have a fantastic time. We also run sessions for children of all ages at our Adlington site starting. These are on a Thursday from 9am until 3pm. 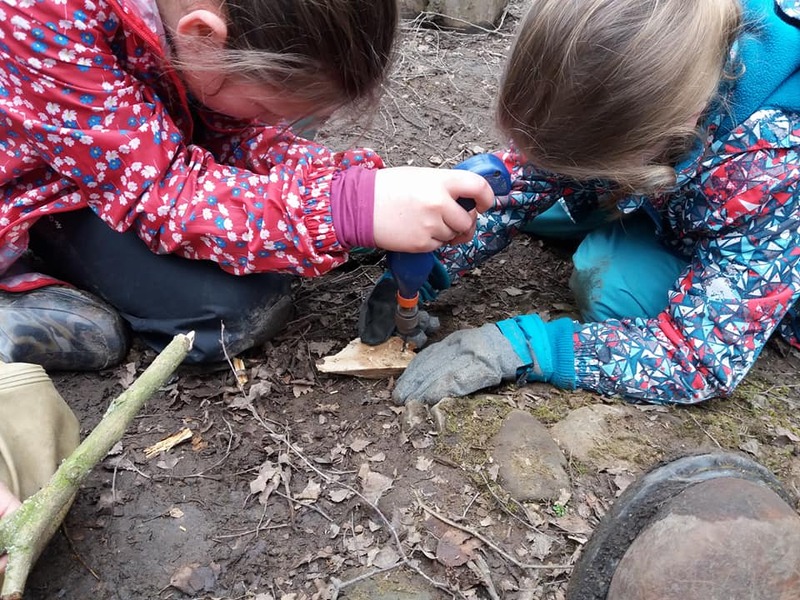 These are suited for age 7+ children to gain more advanced skills such as crafting and survival skills, but also to gain the many benefits of the forest school approach. Our site is large enough to have groups doing different things in different areas. Sessions are run with the children in the front of the planning and delivery. They get to choose what they want to do and we are very flexible, taking advantage of whatever is happening in nature on that day. We have a cycle of planning, learning and review in which the children are fully involved so they can drive their own learning experience forwards. 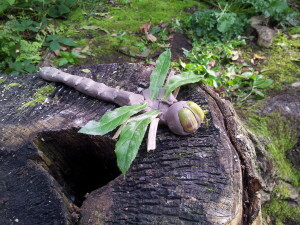 They are respected for who they are, their individuality and allowed the freedom to explore and follow their interests. Typically a day will involve games and fun activities, stories either from books or storytelling, a connection to nature activity usually based around interesting things happening in nature at that time, lunch - sometimes involving campfire cooking, woodland or bushcraft crafting activities and review and planning for future days. Our Grappenhall day starts at 8:45am and collection time is 2:45pm. We meet and pickup at Grappenhall Scout HQ and usually leave the site to head into the woods or countryside at around 9:30am. Programmes are based on series of 6 weeks but for the full benefit it is recommended that children attend all year round. The cost is £20 per day (£120 for a 6 week block) for up to a maximum of 12 children. Our Adlington day starts at 9:30am and collection time is 3:00pm. Meet in the car park at the bottom of the woods. Children can work towards achieving a John Muir Award for their work on nature conservation, or if awards are not your thing, just enjoy the experiential learning we have on offer.